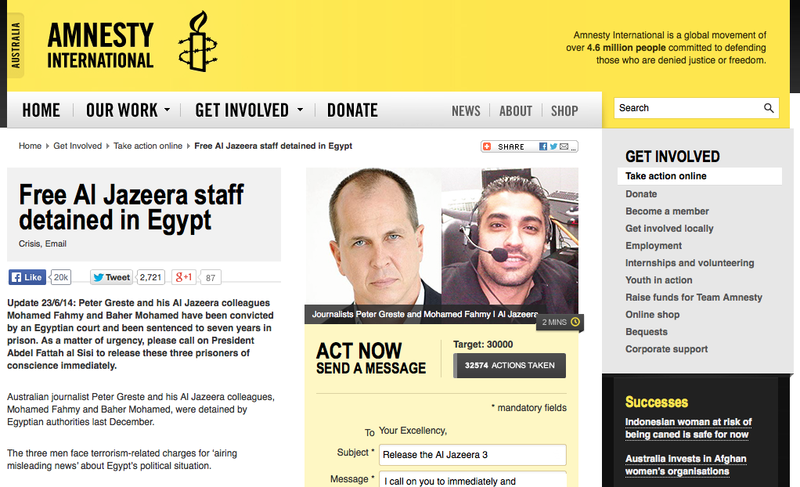 Al-Jazeera journalists (from left) Mohamed Fahmy, Peter Greste and Baher Mohammed. 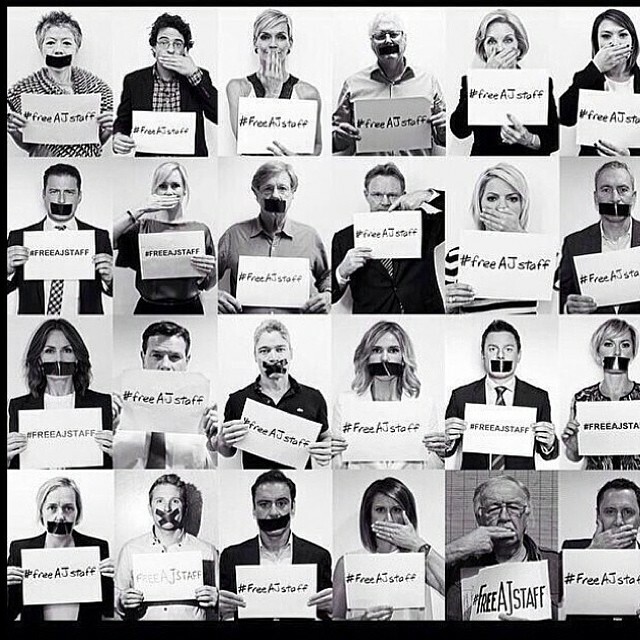 We have not had the privilege of meeting personally, however I would like to convey deep disquiet and displeasure about Monday’s ridiculous verdicts in the farcical trial of Brisbane freelance journalist Peter Greste and his Al Jazeera English colleagues Mohamed Fahmy and Baher Mohammed. These three men had simply been doing their work as professional journalists for an international news organisation, one that continues to cover events in and outside of Egypt. How a Cairo court could convict Peter Greste, an experienced and ethical freelance reporter, who had been reporting for Al Jazeera for just a couple of weeks, escapes any sensible explanation. He doesn’t even speak Arabic and there was no evidence presented in court that backed up the accusations levelled at him nor at his Canadian and Egyptian co-accused. This sort of judicial behaviour in a well-established inquisitorial system makes a mockery of justice in your country and casts your nation in an incredibly negative light. It appears that this has been little more than a show trial with an apparently pre-judged outcome, a cheap political stunt to garner domestic kudos at the expense of two foreigners and an Egyptian national who were just going about their work by covering all sides of a history-making story. This sort of blatant partisan travesty paints Egypt in such a poor light and will doubtless have costly, unintended and unwanted economic, trade, tourism and diplomatic consequences. I have been a journalist since 1981 and have never witnessed such an egregious misuse of judicial authority against reporters who were behaving professionally in the carriage of their duties. I would like you to communicate the deep disappointment and disapproval of myself – and many of my Australian journalism and academic peers – to your country’s new Prime Minister, Mr Ibrahim Mahlab, as well as your new President, Mr Abdel Fattah el-Sisi and, through them, to the judiciary responsible for this outrageous verdict. Perhaps an international court, or pressure from other sources, will put this matter right in time. But every single day those men remain in detention until then is a day your country remains in unmitigated shame.